What do you do if you find an abandoned seal pup on a rock in the middle of the sea? Take it home with you, of course. 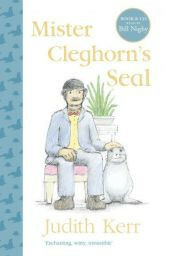 At least thats what Mr Cleghorn thought, though perhaps he hadnt considered all the complicationsThis is the story of what then happened to Mr Cleghorn and Charlie the seal in their determination to find a home for Charlie and incidentally, happiness for them both.